UPDATE: 7PM. Report of two more fatalities in Ashland, MS. 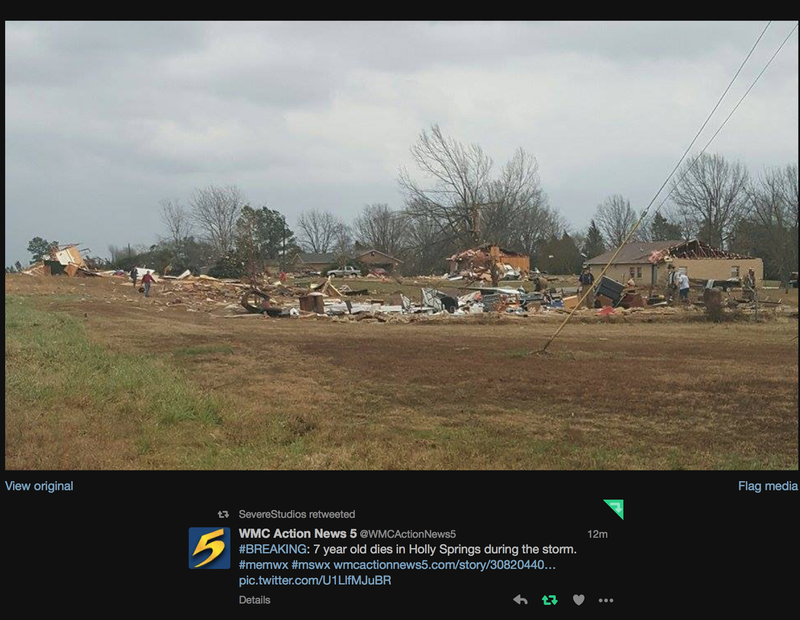 Via TV 5 in Memphis, there is a report of the death of a 7-year old in Holly Springs, Mississippi, late this afternoon. That tornado was apparently on the ground for 90+miles. If you scroll down, you'll see video of the large tornado when it was near Holly Springs. 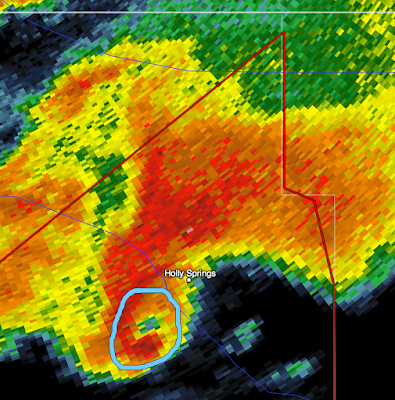 At 4:27pm, I circled the location of the tornado (it was moving northeast) while I was Tweeting tornado warnings. 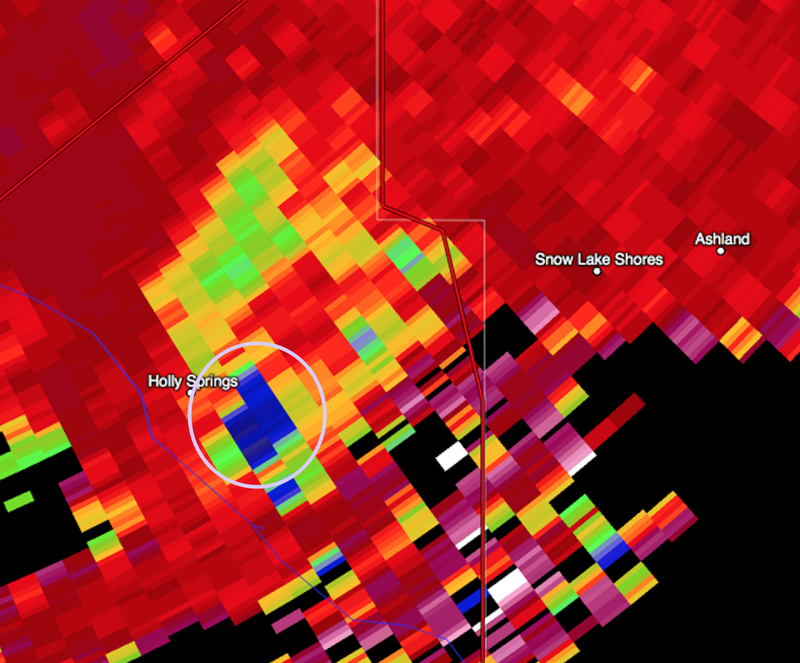 Ten minutes later, dual-polarization radar showed debris from Holly Springs lofted 20,000 ft. into the atmosphere. Debris shows up as dark blue/gray on the D-P display.